With your phone’s Bluetooth on and the earphones switched off, press and hold the RHA’s power button for 5 seconds to get it into pairing mode. Then select it in your list of Bluetooth devices to pair it. The good thing you’ll like about these pair of wireless earphones is… They come with COMPLY ear tips. And not a lower-end model, apparently… The pair of COMPLY tips they give are the Comfort T400 (that’s $33 for a set of 3 pairs in Stereo Electronics) which has the earwax guard. So I experimented pinching and molding it over the business end of the earphones, then roll them so their diameter becomes smaller, then put them in my ears. Seemed to work like a dream. Didn’t feel like they were loose after that! I won’t pretend to be an audiophile or expert… which of course I’m not. 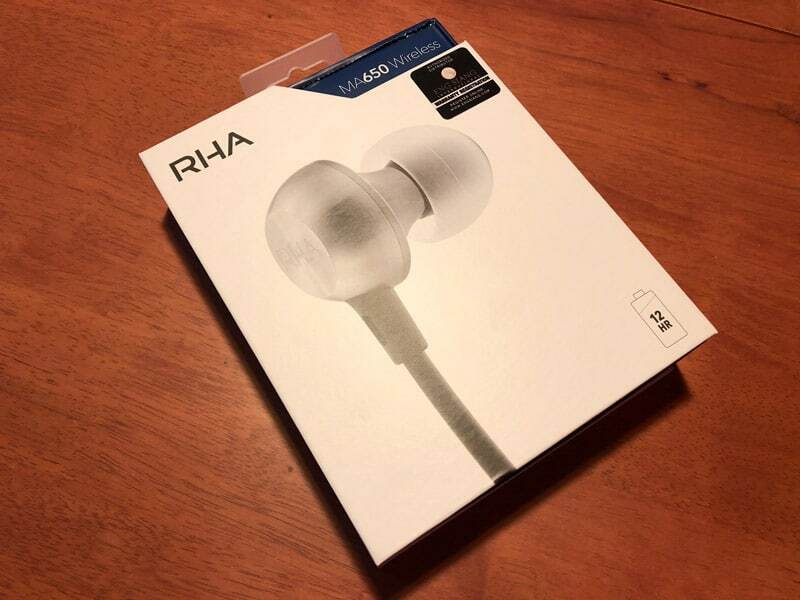 But I’ll just say that I enjoy the RHA MA650 wireless earphones so far. Sound is what I expect for wireless earphones at that price point. The fit is also very comfortable, and feels invisible. I really liked that I didn’t have to mess around with a cable connecting to my phone. It still didn’t seem to let me hear calls (not the fault of the earphones) when receiving them… But when making them, I could select whether to hear and talk with my iPhone, or the RHA. Anyway, after mucking around, I found something that works. Don’t worry, if your headset isn’t connected and you receive (or make) a call, the iPhone will default to its own speaker and microphone. It was also something I was worried about and tested. Have fun with your new earphones!